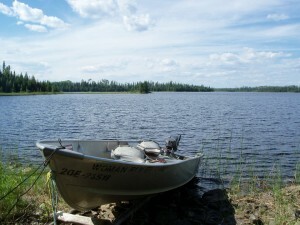 Corless Lake is a remote portage fishing lake, accessed via Big Bear Lake. A scenic 20-25 minute (15 km / 9.25 mi.) boat ride from Woman River Camp will have you at the well marked trail head. The trail is 2 km (1.25 mi) long and is fairly easy walking. It utilizes part of an abandoned logging road for part of the way. Be quiet and alert to maximize your chance to see some of the fantastic wildlife traveling on the trail and out in the clear cut. The lake is a little gem, tea stained in colour, one creek flowing in and one out. 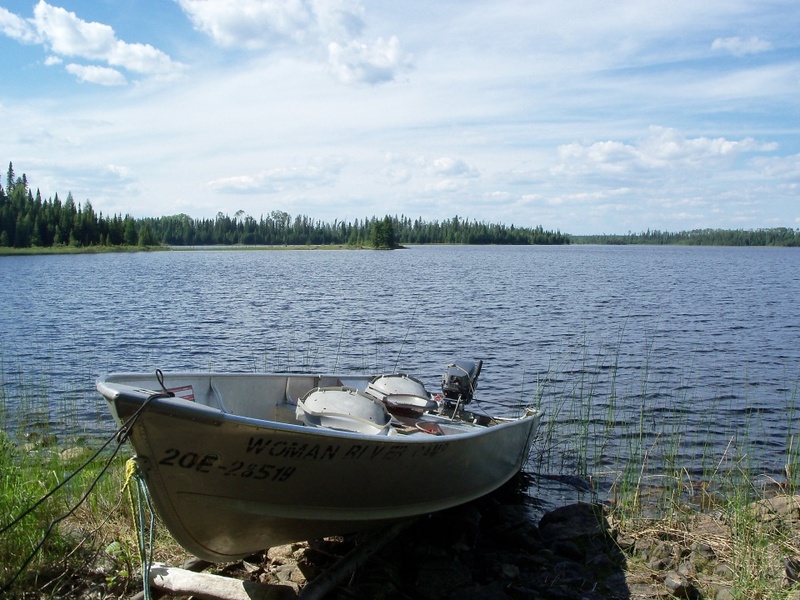 The lake has a maximum depth of 20ft. It is approximately 1.5 Km long, 6.96 Km of shoreline, and 104.6 ha (258.5 acres) of area. 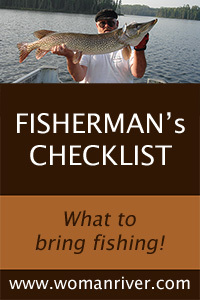 Walleye action is usually fast with most fish between 14-18″ with the occasional 20+ fish. Lot’s of 100 fish days. Use spinner rigs with bottom bouncers to locate the Walleye and then jig’em up. The best colours are orange and chartreuse. The lake produces trophy class Northern Pike with flashy Rapala Husky Jerks, Mepps spinners and spoons. Our 16′ boat fishes 3 comfortably but 4 in a pinch. It is the only boat on the lake! 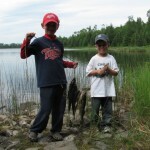 Corless is a great lake for all ages but is one of our best lakes for fishing with kids or young children. 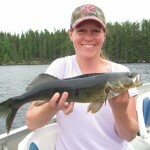 Possession limits are in accordance with your fishing license and Woman River Camp Conservation Policy releasing all Walleye over 18” and all Northern Pike over 27”. Say Hi to Paul & Debbie!